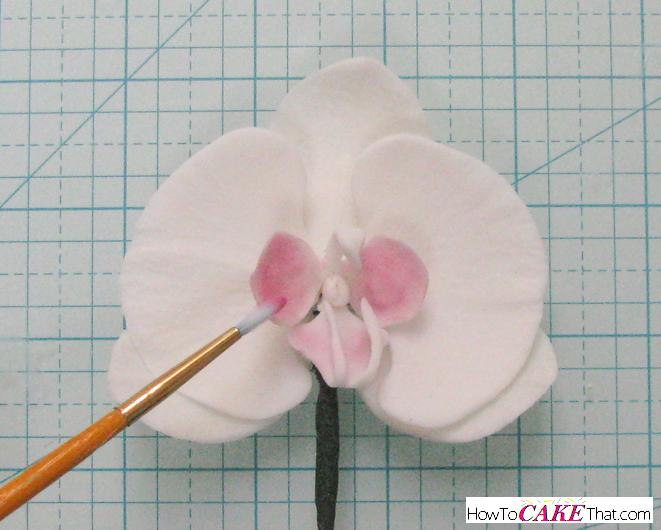 Have you ever wondered how to make a spray of lovely sugar moth orchids? 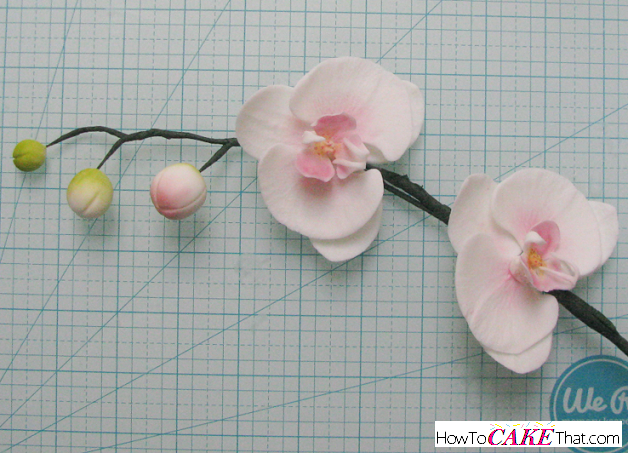 Learn how to make these realistic orchid flowers in this easy to follow tutorial! 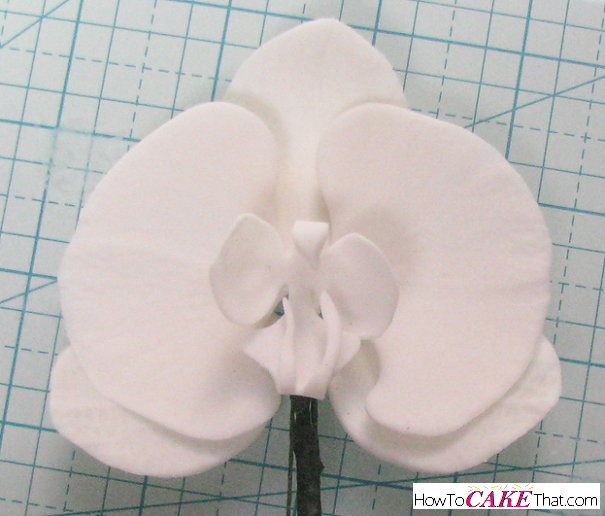 For this tutorial I will be using a set of moth orchid cutters and a set of two-sided veiners. 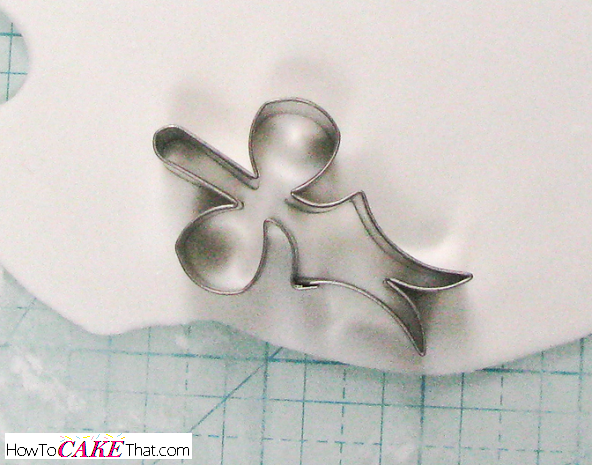 To purchase a cutter and veiner set like the one I am using in this tutorial, check out SugarDelites.com! I cannot say enough nice things about Sugar Delites! This is my #1 first stop for online cake supplies! Sugar Delites offers the BEST customer service I have EVER received from any online store! Not only is everything shipped fast, but every item I have ever received has been neatly wrapped in pretty tissue paper with a personal handwritten "thank you" note! You can't beat that! They are outstanding! 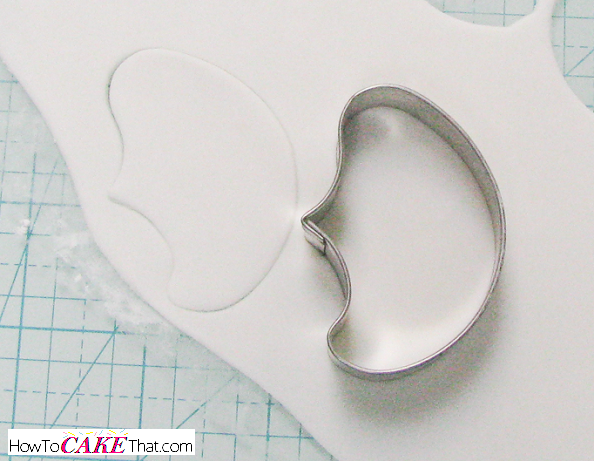 For a direct link to the cutter and veiner set, click here. 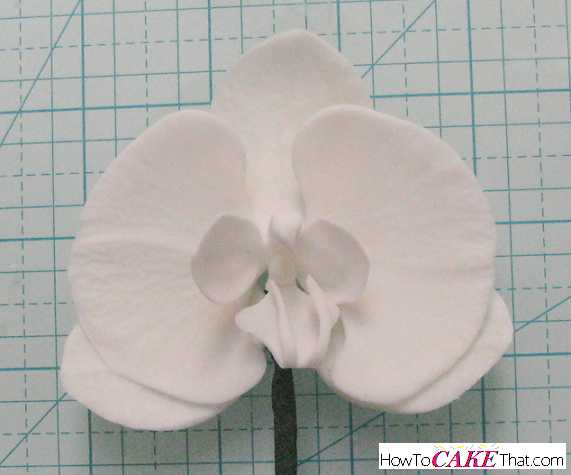 Sugar moth orchids are very delicate, and I highly recommend using at least 50% gum paste/50% fondant for the white petals. 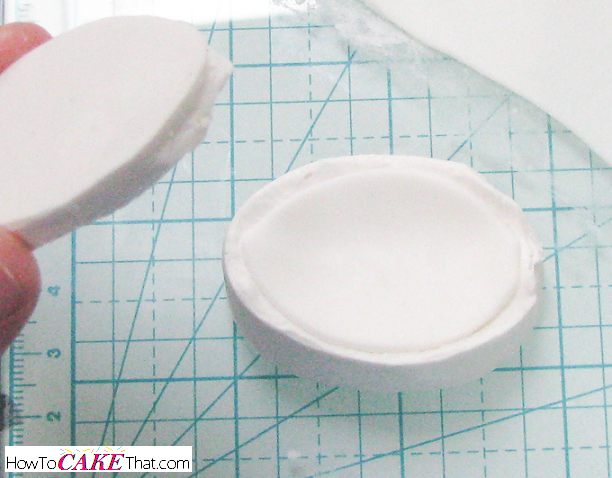 100% gum paste is the sturdiest, but I prefer 50/50 fondant and gum paste for the petals because the fondant will help whiten the gum paste. 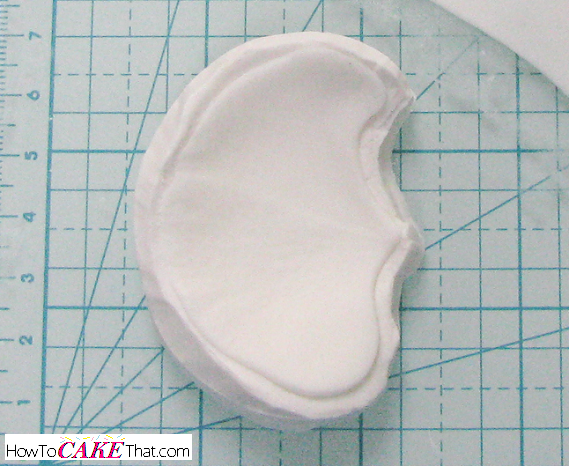 To begin, roll out fondant/gum paste mixture and cut out three of the oval shaped petals. 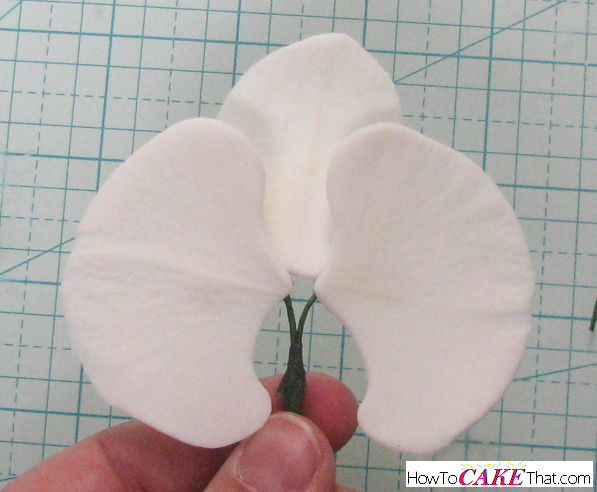 Next, place each petal in the two-sided veiner and press together to create texture on the petals. 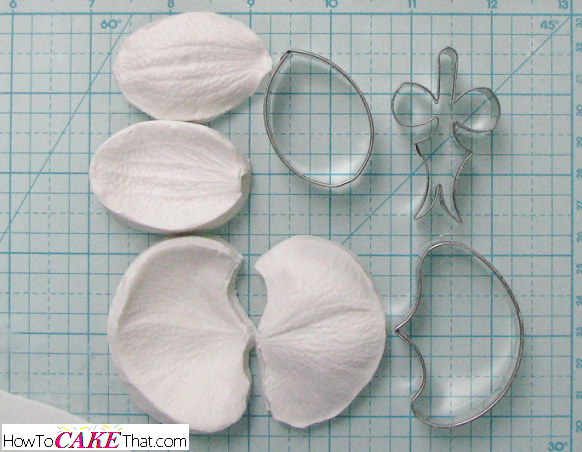 Next, place petals in a u-shaped flower former and let dry. 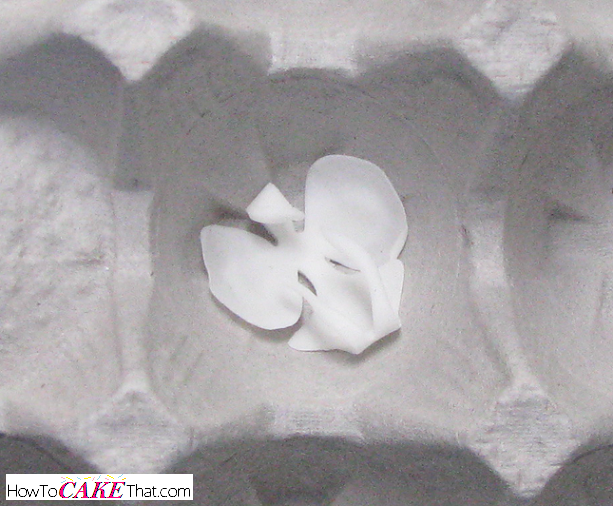 Next, cut out two of the larger center petals. You'll notice the tops and bottoms of the petals are different. One end is more narrow than the other. Because there is only one cutter and veiner - that means it is only meant to make either a right or left petal. To make the veiner work for both petals, first place one petal in the veiner with the narrow side up. Then place the other petal in the veiner with the wide side up. 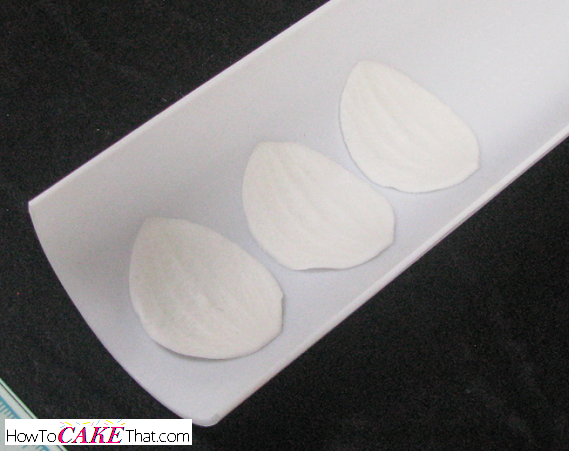 Place the petals in round cup formers and allow to dry. Now it's time to cut out the center of the orchid. 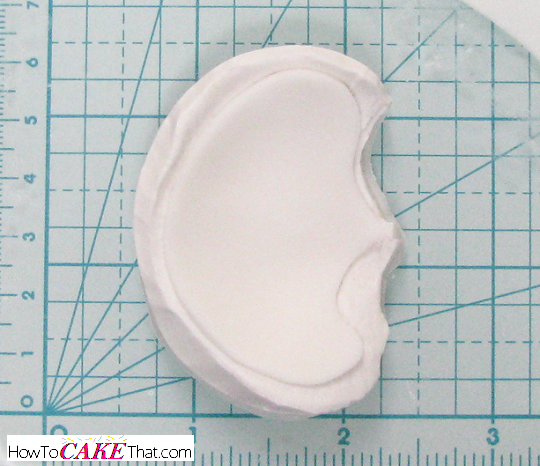 Be sure to use 100% gum paste for this piece. This piece will be very delicate and will need to be as sturdy as possible. I also recommend cutting 1 or 2 extras just in case it breaks. 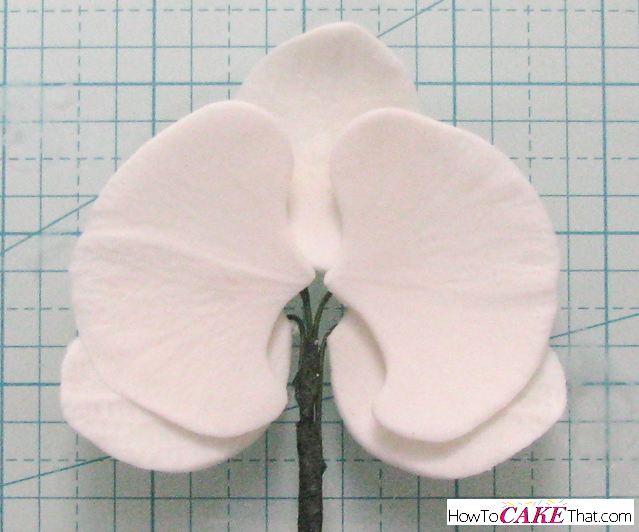 Place the orchid center on flower forming foam and use a metal ball tool to thin out the edges of the round petals, and also the two pointed ends just below the round petals. 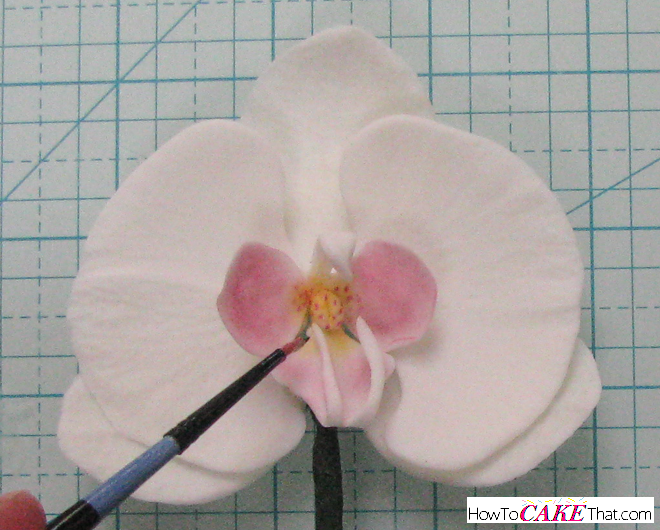 Next, pinch the top of the orchid center to make a "beak" and curl the top piece forward. Also, shape the two bottom string pieces by lightly pinching them until they are a little thinner and come to a point. Place the orchid center in a small round former (or you could use an egg carton like me), and curl the two string pieces up and toward the center of the piece. After the petals have dried overnight, it's time to wire them. 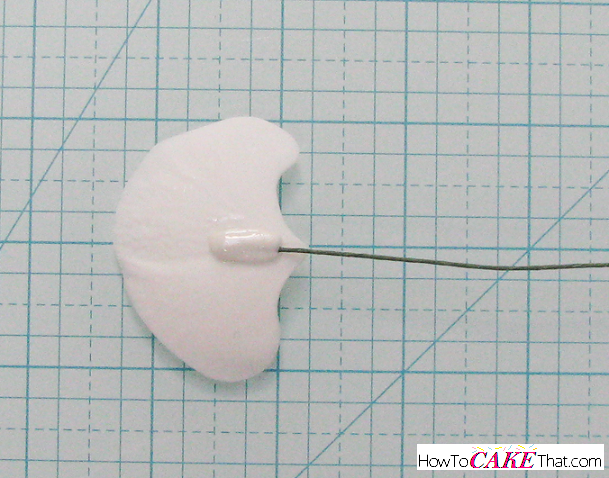 To wire the petals, dip one end of the wire into water and shake off excess water. 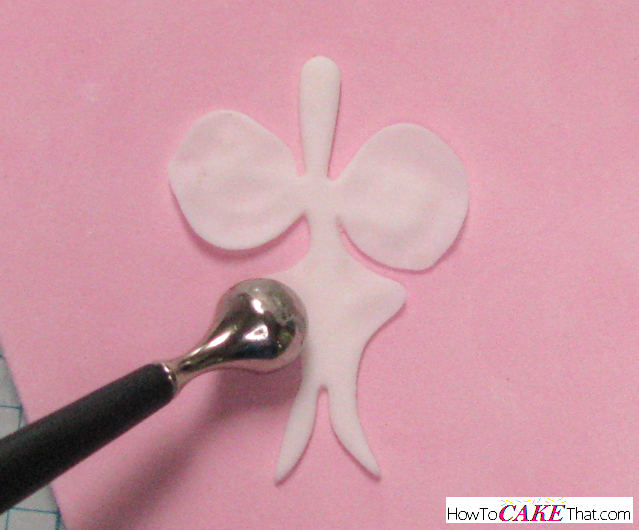 Place a small amount of gum paste onto the damp end of the wire and brush the gum paste with a little water. 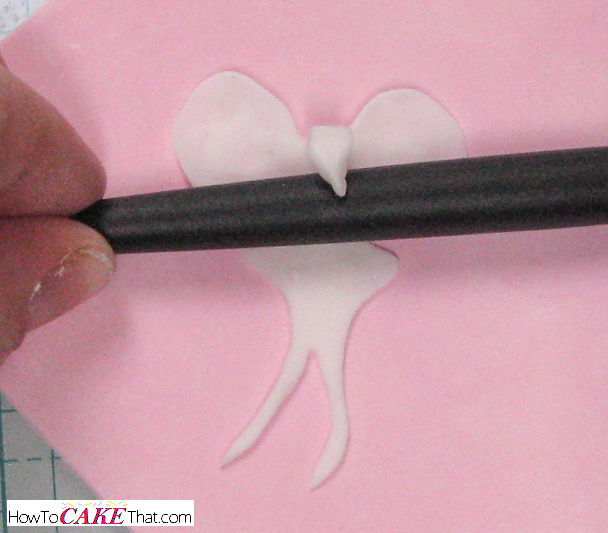 Stick the gum paste onto the backs of each petal and allow to dry. 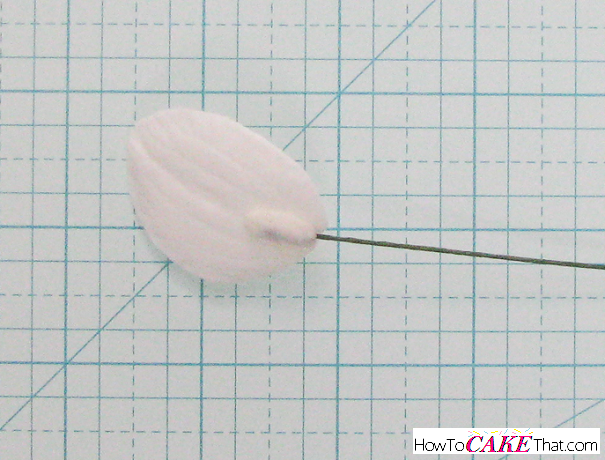 Follow the same steps above and attach a wire to the center piece. Allow all wired pieces to dry completely. Once the wired pieces have dried, it's time to bring all of the petals together to form the flower! 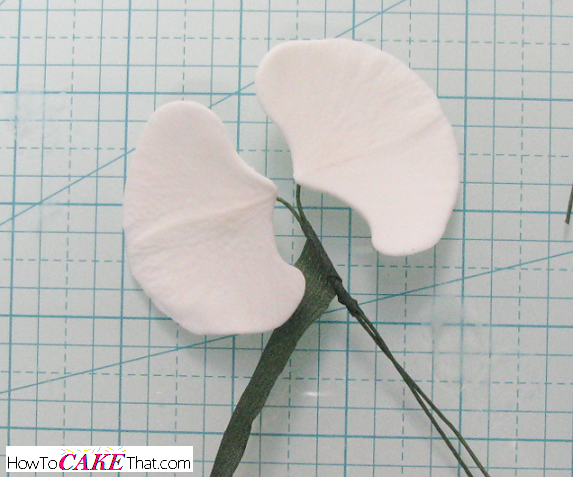 First, bring together the large center petals and wrap the wires together with florist tape to hold them in place. NOTE: You'll notice I wait until the end to color my orchid, but if you're worried about the dust getting messy I highly recommend coloring your petals and center BEFORE bringing them together to keep the colors from accidentally getting onto undesired places. 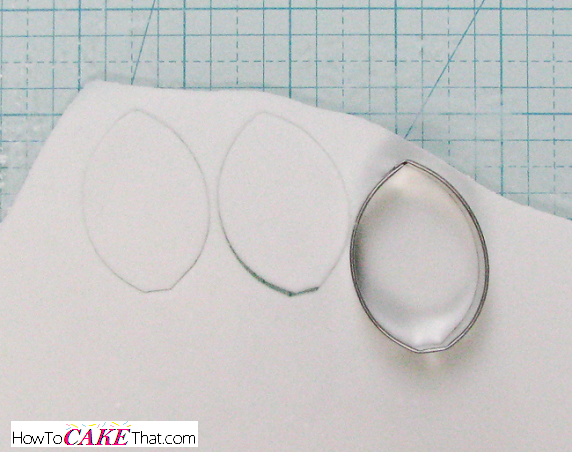 Next, bring together the oval shaped petals beginning with the top petal. Wrap florist tape around the wires to keep them in place. And finally add the orchid center to the flower. 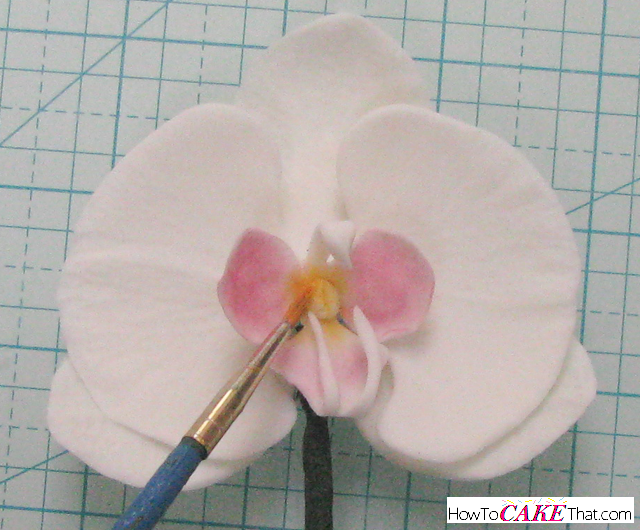 The orchid center's wire can be inserted over the wires that connect the two large petals (the "v" shaped wires in the photos above), and then bend down in the back. Or it can be set on the front over the wrapped wires. 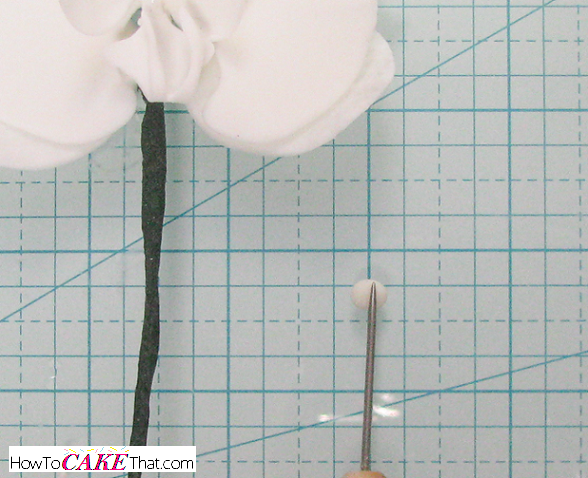 Use florist tape to secure the wire. One more piece needs to be added to the orchid's center. 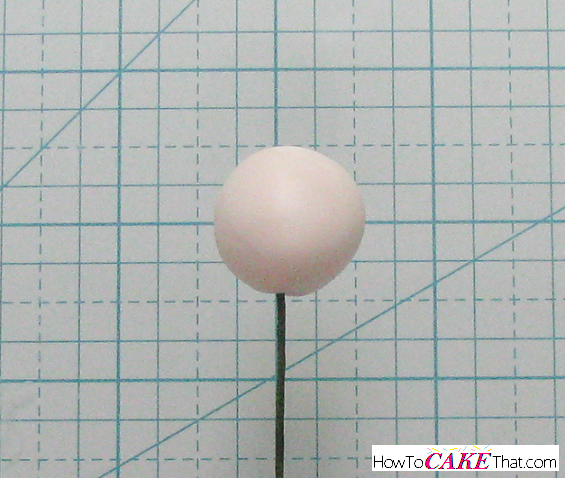 Make a tiny little ball and press a shaping tool in the center of the ball to create a line. Your little ball should look like a little coffee bean. Add the little coffee bean to the center of the orchid's center by brushing the back of the coffee bean with a little water. Since we will be making an orchid branch with trailing orchids, we will need to put a few flower buds on the end of the branch. 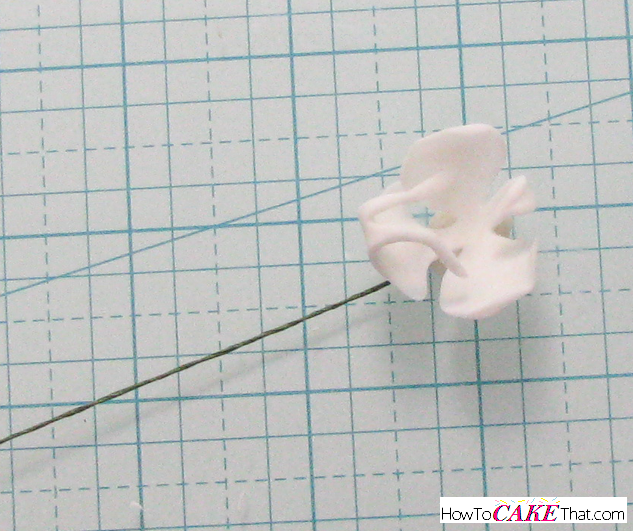 To do this, make a little loop on the end of a piece of florist wire. Dip the loop into some water and shake off excess water. 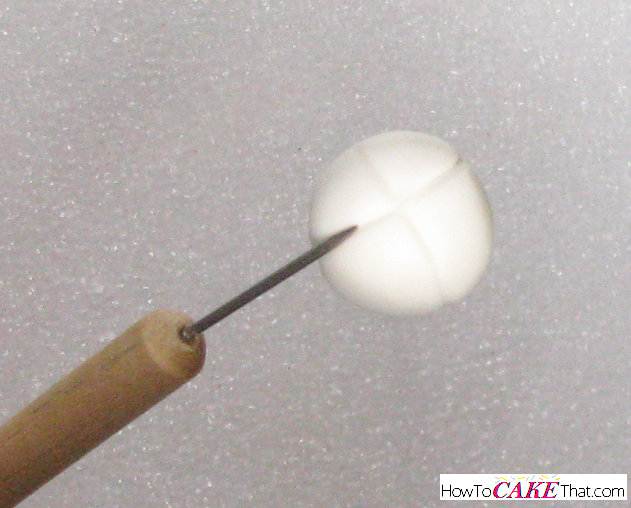 Roll a ball of fondant mixed with a little gum paste and place fondant ball over the wire loop. 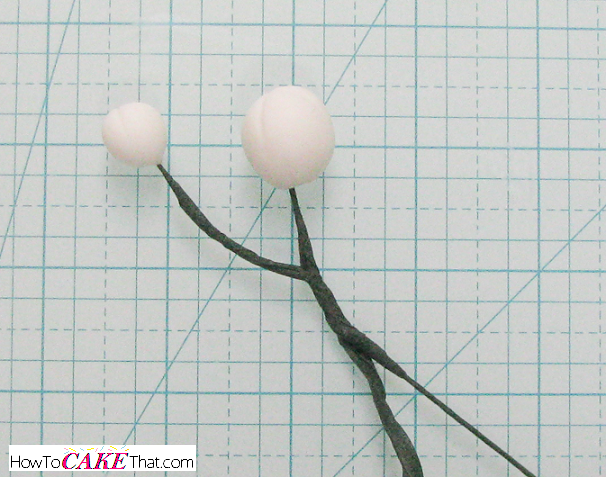 For this tutorial, you will need to make three buds: one small, one medium, and one large. 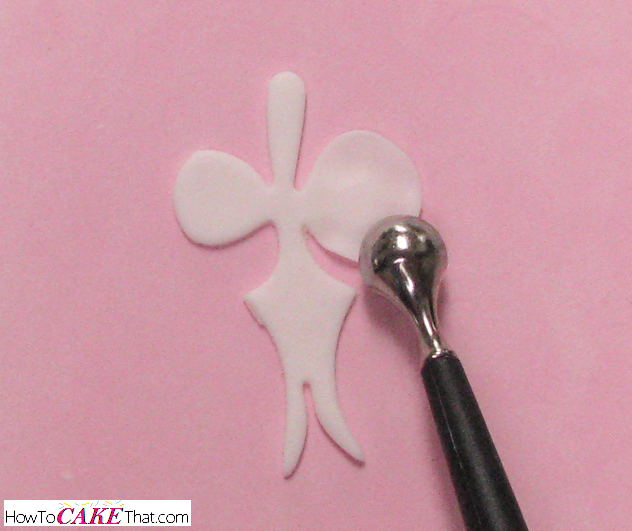 To make the ball of fondant look like an orchid bud, use a shaper tool to make a large "X" on the top of the ball. To bring the buds together, lay the wires together ensuring the smallest but sits further out than the medium. Secure the wires together by wrapping them with florist tape. Next add the large bud after the medium one and secure with florist tape. 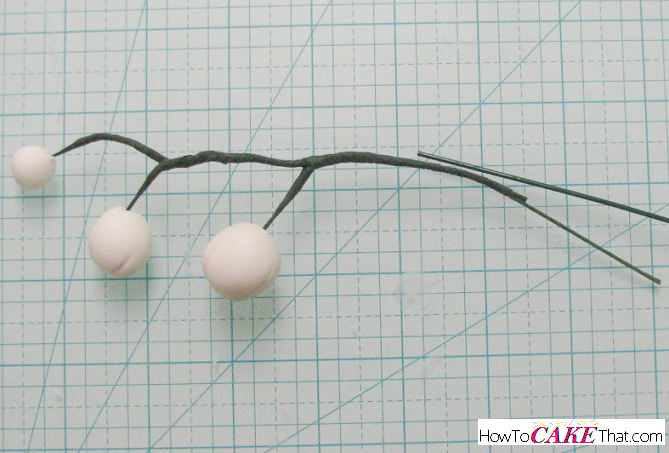 After the third bud has been added, add a heavy gauge florist wire to the branch. This will give the branch a good amount of support. This will also be the wire that the orchid flowers will be attached to. As I mentioned above, you may want to color your orchid before assembling it to be on the safe side. To color your orchid, dust the orchid center with a petal dust of your choice. Be sure to leave the center uncolored. The center is typically yellow. Next, dust the center with yellow petal dust. 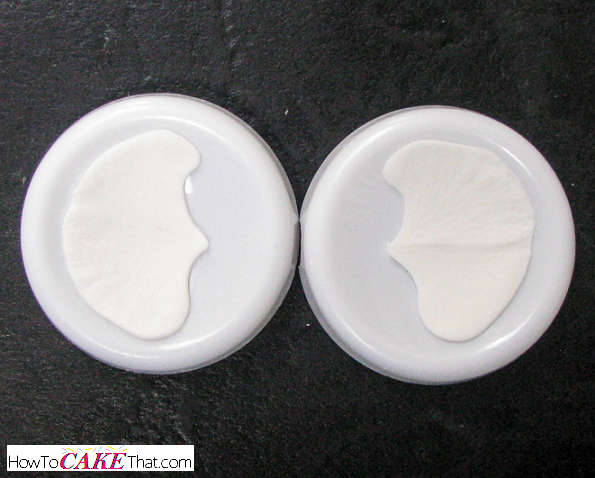 The center of the orchid is typically speckled with a darker shade of the center's outer color. To make these speckles, use the same petal dust used to color the rest of the center and add a little alcohol (150 proof or higher) to create a paint. Paint the speckles on the center of the orchid. And finally, add the large flowers to the spray using the same technique that was used to add the flower buds. If you haven't done so, dust the flower buds with petal dust of your choice - I used sprout green and carnation pink. 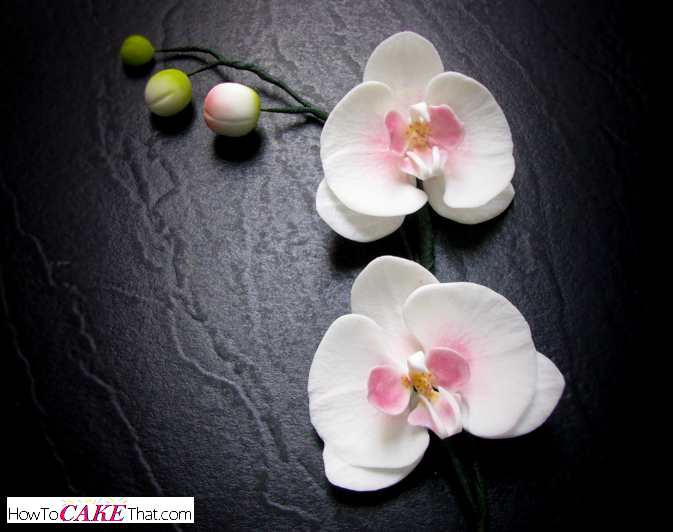 And that's how you make this beautiful spray of sugar orchids. I hope you have enjoyed this tutorial! God bless! !